Want to play a sport this winter? 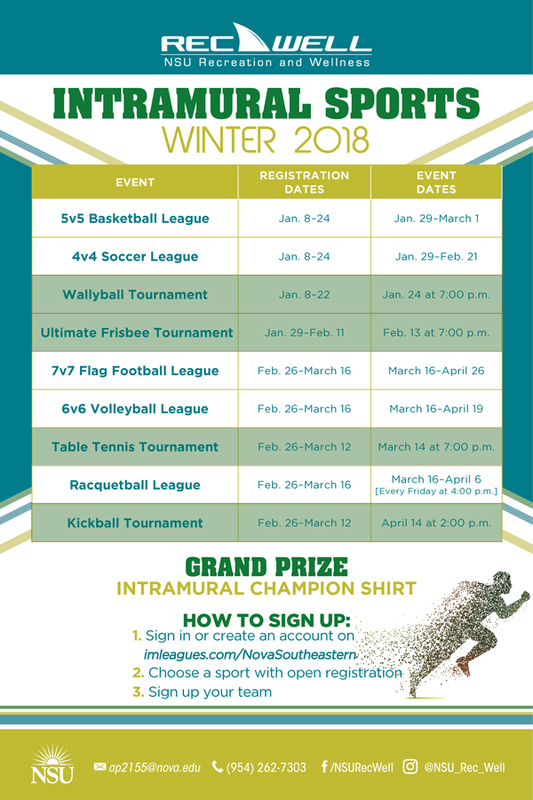 Time to sign up for Intramural Sports!! Event Date: March 14 at 7:00 p.m. Event Date: April 14 at 2:00 p.m.
For more information email ap2155@nova.edu or call (954) 262-7303.